ConceptDraw gives the ability to draw various diagrams such as flowcharts, block diagrams, bar charts, histograms, pie charts, divided bar diagrams, line graphs, area charts, scatter plots, circular arrows diagrams, Venn diagrams, bubble diagrams, concept maps, and others. Basic Diagramming solution is an application's tool for drawing business communication ideas and concepts, simple visual presentation of numerical data. Sample 1. 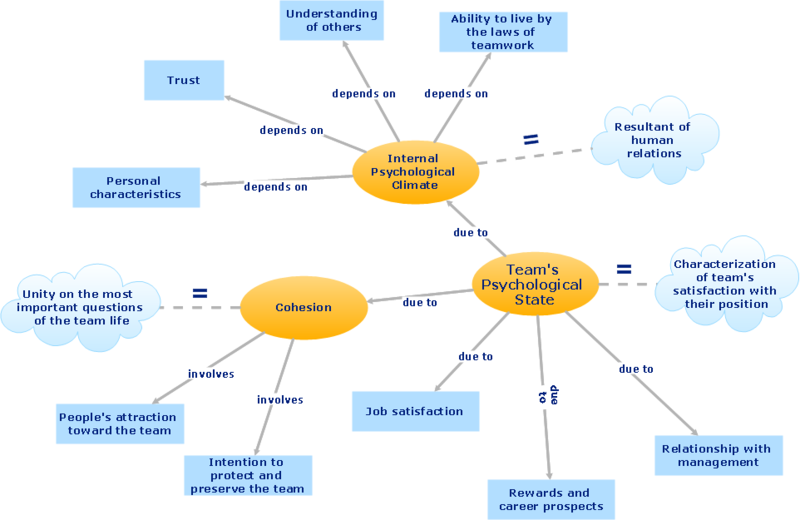 Team psychological characteristics - Concept map.